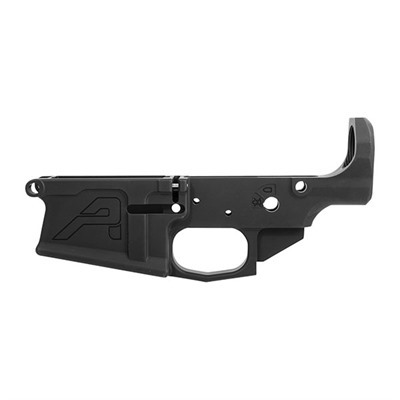 The Aero Precsion M5 308 Lower Receiver allows you to build a custom big-bore AR from the ground up. Mil-spec dimensions and coating ensure the highest quality and correct component interface. 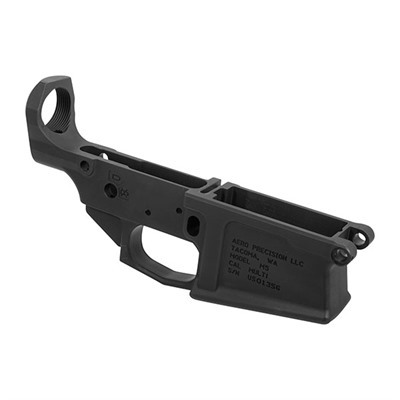 Receiver fits DPMS pattern components, including magazines and upper receivers. Machined from 7075-T6 aluminum, and finished with a matte black hard-coat anodized Mil 8625 Type 3 Class 2 finish. Rear takedown pin detent hole threaded 4-40 to allow for a set screw to retain the takedown pin. Bolt catch is threaded for a screw pin, so that no roll pin is needed. Integrated trigger guard and selector markings that function with 45, 60 or 90 degree safety selectors. Accepts Battle Arms Development short throw safety selectors (100-009-866), but also functions with standard safeties. 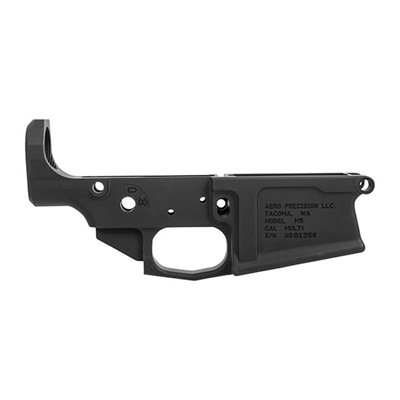 SPECS: Fits - Gen 1 DPMS 308 components, including magazine and upper receiver.